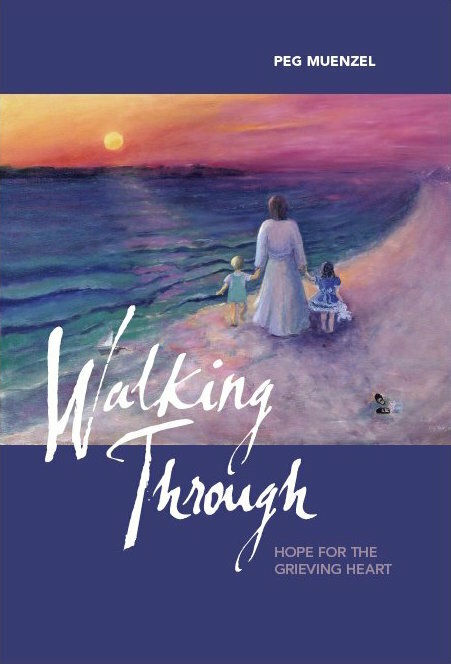 Walking Through is a grief map offering simple directions, practical help, and sustaining hope for anyone struggling to make it through another day when life as they knew it has changed forever. When Peg Muenzel’s 15-year-old son Jason died in an auto accident she found herself a member of an exclusive club no one ever wants to join. Her grief felt like an endless sea of rubble, destruction, fear and loss. Was life ever going to be okay again? Through the process Peg yearned for a book with basic information that wasn’t clinical, antiseptic, or completely biographical. The lessons Peg learned in Walking Through are presented in short insightful entries that minister to the heart of the many conflicts and needs that surround those in the midst of grief’s destruction. Artwork that cuts to the heart of the issues at hand help to bring clarity, healing and hope.